This was a project we worked on back in 2008, but shows our ability to supply a solution where no current product would work. 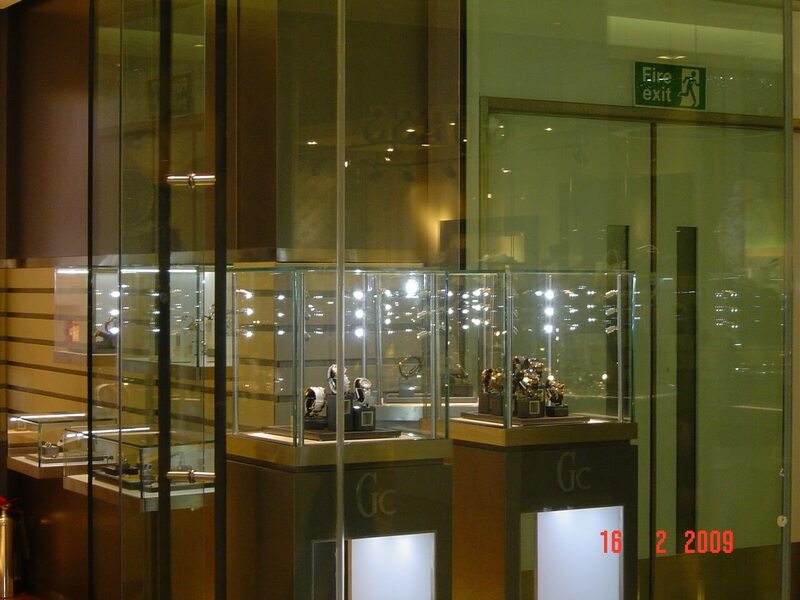 Guess watches needed bespoke high output miniature LED spotlights for their new shop and matching lights within the wall cabinet displays. Brief: To manufacture a selection of bespoke spotlights each with an adjustable head, set onto brushed aluminium profiles made for each display case. For the wall cabinets a brushed aluminium corner profile was needed that could fit within the glass case yet not be attached to the glass. Our solution: Working closely with INK Associates we designed a range of mini spotlights and triangular profiles for these cases. The brushed aluminium profiles were made to fit each type of case and the triangular profiles were fixed onto a unique design of fixing bracket which was hidden and gave the appearance of the profiles floating in the case. 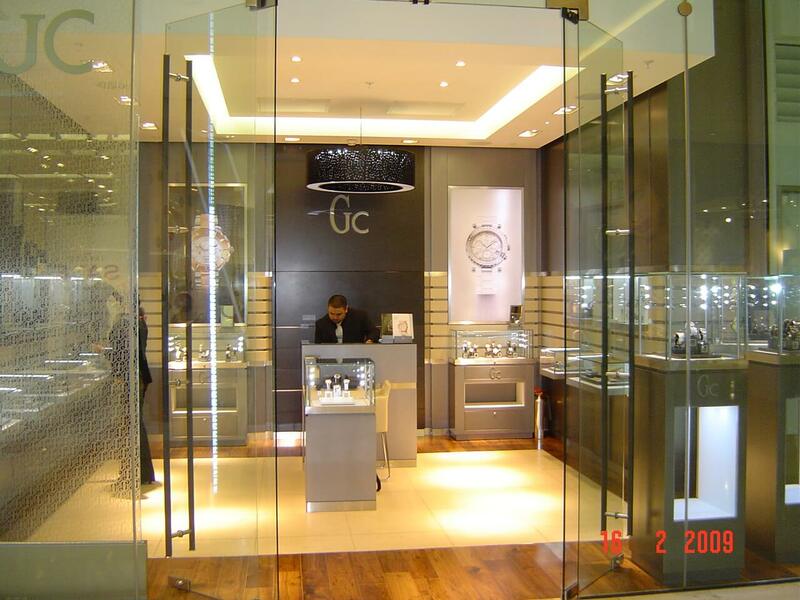 High output cool white LEDs gave the impact required for this range of high class watches.